Annotated corpora are an important resource to evaluate methods, compare competing methods, or to train supervised learning methods. When creating a new corpora with the help of human annotators, two important goals are pursued by annotation practitioners: Minimizing the required resources (efficiency) and maximizing the resulting annotation quality (effectiveness). Optimizing these two criteria is a challenging problem, especially in certain domains (e.g. medical, legal). In the scope of my PhD thesis, the aim is to create novel annotation methods for an efficient and effective data acquisition. 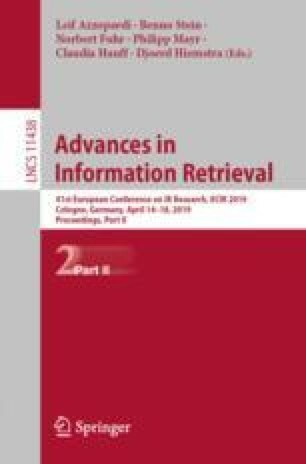 In this paper, methods and preliminary results are described for two ongoing annotation projects: medical information extraction and question-answering.